- The California Institute of Technology manager of NASA's exoplanet database, Caltech's astronomer Mike Brown, stated: “Before we ever discovered any [planets outside the solar system] we thought we understood the formation of planetary systems pretty deeply… It was a really beautiful theory. And, clearly, thoroughly wrong." - According to planetary evolution theory, a gas giant couldn't form close to its star but now such stars, called Hot Jupiters, are being readily found. - Merely because our solar system has planets that have nearly circular orbits evolutionists conveniently imagined that planetary systems would form from condensing, rotating gas clouds to produce planets with nearly circular orbits, except that now they know that many of the exoplanets have highly eccentric orbits. 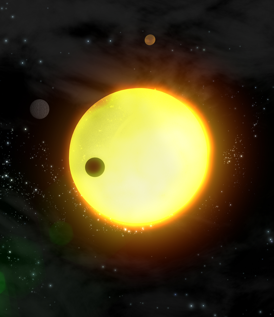 - While our own Venus has a retrograde (backward) rotation, for which evolutionists have to resort to catastrophism to explain (as with so many of the features of the solar system), one exoplanet discovered so far is believed to be orbiting backwards. The law of the conservation of angular momentum indicates that, apart from extreme secondary assumptions (which are increasingly prevalent in planetary formation theory), if a spinning nebula condensed (which itself would go against the known laws of physics), the entire mass would continue spinning in the same direction such that any planets produced (again, against the known laws of physics), would be both rotating and orbiting in the same direction as the initial gas cloud. - Bob, Fred, and Isaac Newton all reject the claim that our solar system formed naturally. As the man most-often described as the greatest scientist who ever lived (no, not Fred, Isaac), who first described universal gravitation, explained color, invented calculus, and defended the historical accuracy of Scripture, Isaac Newton's scientific insight led him to conclude that no natural method could account for our planetary system. He explicitly rejected that gravity could form our planets from a spinning gas cloud. The nebula theory leads scientists to make extremely obvious predictions, which so often turn out to be dramatically wrong. (UPDATE: In 2011 NASA reported that the Sun is not made of the same version (isotopes) of Oxygen and Nitrogen as is the Earth!) Bob and Fred add to Isaac's own insights from a discovery made by astrophysicists long ago. The Sun has 98% of the mass of the solar system, and a prediction based on the natural formation assumption is that therefore it would have 98% of the angular momentum (spin) of the solar system. But it does not. All atheists following the data were shocked. Unexpectedly (to them), the Sun did not have 98% but it only has about 2% of the solar system's spin. So naturalistic scientists are forced to make wild secondary assumptions that would mince Ockham with his own razor to account for such "anomalies." But when their "anomalies" turn out to be among the most massive scientific observations possible in our solar system, they should no longer be considered anomalies. These kinds of discoveries depict the norm. The finely tuned parameters of the universe include such astounding "coincidences" (see rsr.org/fine-tuning) that increasingly materialists are putting blind faith in the existence of countless trillions of universes in an against-all-odds hope that by random chance one of them would have the absurdly improbable combinations of fortuitous circumstances that enable our existence. ...the big bang theory can boast of no quantitative predictions that have subsequently been validated by observation. The successes claimed by the theory's supporters consist of its ability to retrospectively fit observations with a steadily increasing array of adjustable parameters, just as the old Earth-centered cosmology of Ptolemy needed layer upon layer of epicycles. - hundreds of relevantly degreed scientists, including many from leading institutions. - the transparency problem, and dozens of other major failed predictions of the big bang. If the following contrary-to-interest expert testimony from leading big bang advocates is accurate, then Lawrence Krauss (A Universe from Nothing, p. 18, and on RSR, etc.) is wrong when he, along with ten thousand others, claims that confirmed predictions validate the big bang. * Failed Antimatter Prediction and Failed Dark Matter Search: Scientists have identified two entire universes worth of failure in the predictions of big bang theory, regarding both its erroneous antimatter prediction and its failure to either predict (or detect) dark matter. If the big bang has actually occurred, transforming vast energy into all of the matter of the universe, then that would have created as much antimatter as matter. Extensive compelling scientific investigation including repeatable experiments suggests that there is an entire cosmos worth of antimatter that should have been created by the big bang within our universe that, thankfully, simply does not exist. When supercolliders form matter from energy, as expected from the laws of physics, equal parts of matter and antimatter form; and if they come into contact, they annihilate one another. Big Bang theorists have spent decades looking for antimatter regions of the universe with leading astronomers culminating a significant project by writing, "we conclude that a matter-antimatter symmetric universe is empirically excluded" with the journal Science reporting a physicist's assessment: "The work is extremely compelling and gives me fresh pessimism" that is, on the difficulty of explaining why the universe even exists. And if the big bang can't even explain why the universe exists, not surprisingly, neither can it explain how the universe works. Further, regarding the hypothetical entities dark matter and dark energy, which are believed in to save the big bang theory from millions of actual astronomical observations which otherwise contradict it, although they are claimed to make up 95% of the entire universe, the big bang also failed to predict these. (That's like an economist in 2008 predicting the outcome of Barack Obama's economic policies and later being credited for accuracy even though he never foresaw any deficit spending. How accurate is a prognosticator who admits to missing 95% of the picture?) And intense searches for dark matter, like in the closest 13,000 light-year swath of the galaxy, turn up empty. Thus, in addition to its many other failed predictions (as we shall see), the big bang's failure to predict nearly 100% of the alleged matter of the universe is in addition to its failed prediction of 100% of the universe-worth of antimatter. 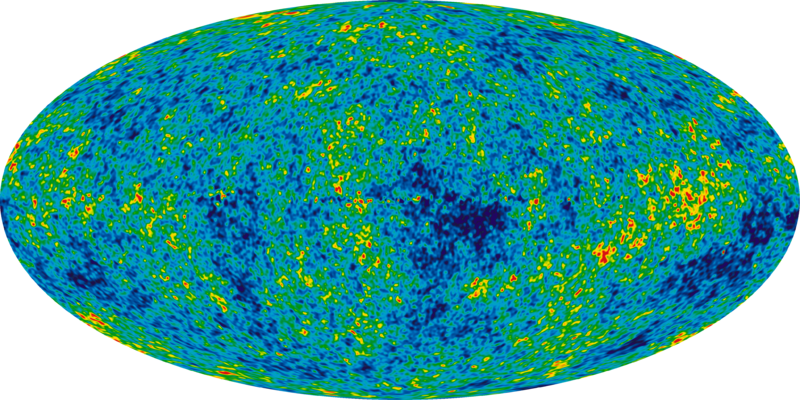 Now consider the standard model's track record regarding the CMB, with one of the very scientists who won the Nobel prize for its discovery being the first person to dial back the credit given to the big bang for that discovery. Today's Resource: You'll just love the science DVDs, books, and written, audio or video debates we offer through our Real Science Radio broadcasts! So have you browsed through our Science Department in the KGOV Store? Check out Bob most highly-recommended astronomy DVD, What You Aren't Being Told About Astronomy! - Newton admired Bishop Ussher's work and defended the literal date of creation of the entire cosmos as occurring about 4,000 B.C.